The offer is exclusive to Jio Prime subscribers under which users will get triple cashback of up to Rs 2,599 on recharging their Jio connection with plans priced at Rs 399 or higher. Previously, the offer was valid until December 15. Reliance Jio has again extended the validity of its triple cashback offer till December 25. The telco had introduced the offer last month and said that will be valid till November 25. However, Jio had extended the validity and announced December 15 as the last day for availing the triple cashback offer. The offer is exclusive to Jio Prime subscribers under which users will receive triple cashback of up to Rs 2,599 on recharging their Jio connection with Rs 399 or higher. To recall, Jio users will get the cashback in the form of vouchers and instant cashback. 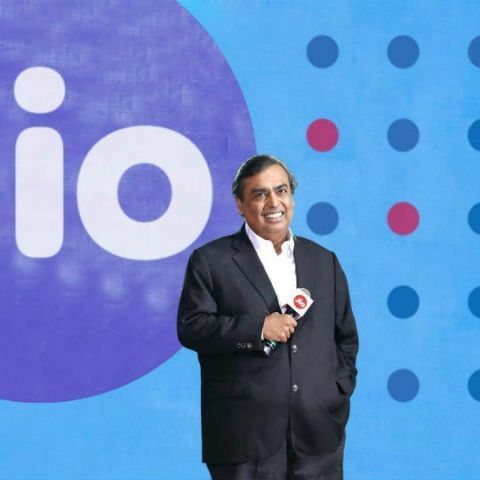 They will also receive 100 percent cashback amounting to Rs 400 from Jio, which will be credited back into the MyJio app in the form of eight Rs 50 vouchers over a period of 8 months. Apart from the Jio vouchers, users will also get up to Rs 300 instant cashback while paying for the recharge using the company’s select partner wallets like Mobikwik, PayTM, Amazon Pay, and PhonePe. There are two noticeable revisions in the offer. Instead of Rs 50, Paytm is now offering Rs 15 cashback for new users and PhonePe is now offering a cashback of Rs 10 to existing users. Additionally, Prime subscribers will also receive vouchers worth Rs 1,899 from the Jio’s e-commerce partners. Users will get a discount of Rs 500 on transactions worth Rs 1,999 and above on reliancetrends.com, whereas Ajio.com is offering Rs 399 off on spending a minimum purchase of Rs 1,500. Jio has collaborated with Yatra.com to offering Rs 1,000 and Rs 500 off on all round-trip and one-way domestic flight tickets respectively.